Magic Fire, out August 19th on Yep Roc Records, shines with striking immediacy and conviction. 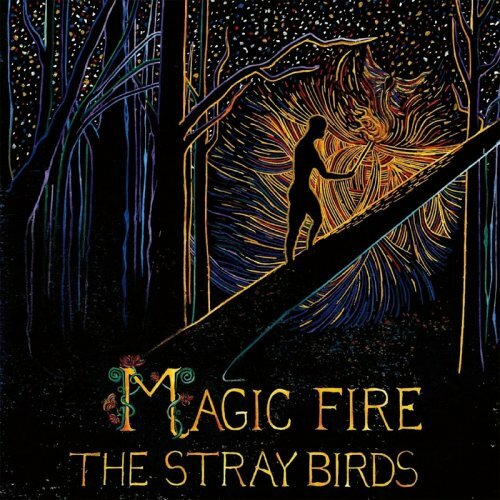 Over the course of two critically acclaimed albums - Best Medicine (Yep Roc, 2014) and The Stray Birds (2012) - the band has sharpened their poetic eye against our turbulent landscape of humanity - and the resilient landscape of our human hearts. Straddling north and south (Maya and Oliver reside in Nashville, TN and Charlie in the band's hometown of Lancaster, PA), the band retreated to the Hudson Valley of upstate New York in December 2015 to bring the new collection of songs to life. They assembled inside a converted horse barn with Grammy-award-winning producer Larry Campbell (Bob Dylan, Levon Helm) and engineer Justin Guip. The acoustic trio embraced the songs' calls for electric guitar, pedal steel, and keys. The band was also joined in the studio- and now on the road - by Eau Claire, Wisconsin musician Shane Leonard (drums/percussion/vocals) and his undeniably inventive rhythmic undercurrent.